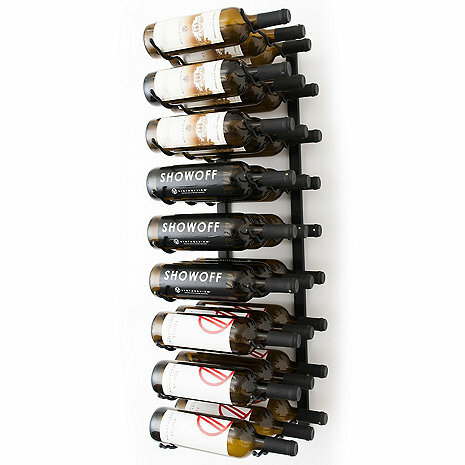 This three bottle deep, 27 bottle VintageView rack is available in 4 finishes. BEST ANSWER: I don't have a bottle to hand to measure, but the width is defined by the bottle since it is wider than the frame of the rack. Installer can make as much distance between bottles as you want, but it doesn't make a difference since you place the bottles directly into the racks without touching a rack on either side. Id space at 13.5 inches but the brackets are 7.5 apart.